Throughout the Fiora Experience Room’s history, which exceeds two years, several exhibitions have been installed which are linked to the world of art: painting, calligraphy, photography… but on this occasion the exhibition in question is of an entirely different nature. ‘Fiora Details by ESDIR’ is a project born out of the collaboration with the ESDIR (La Rioja School of Design), and specifically with the students from First-Year Product Design. 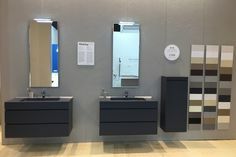 The challenge that the students were given along with their teacher, David Azpurgua, was to apply all of their creativity in order to design and create items to complete a piece of Fiora bathroom furniture. Details such as soap dishes, candle holders, soap dispensers or bars of soap, etc. The students soaked up the Fiora philosophy and were also able to visit the facilities in Nájera in order to get to know more about the manufacturing processes. The Fiora marketing team supervised each one of the projects for months, guiding and giving advice to the students. The result, an exhibition of the best products developed by the 28 students in their first year of Product Design at the ESDIR. With this exhibition, Fiora Experience Room meets one of its objectives which is to perform a social function. In this case, providing support for young future product designers. 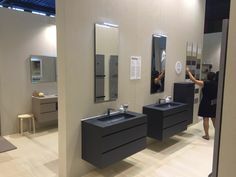 The 57th edition of the Salone del Mobile in Milan took place between 17 and 22 April. 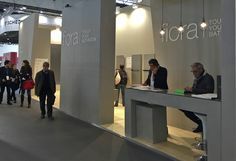 It was Fiora’s second participation in the most important and well-known trade show in the furniture sector. 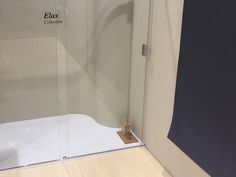 In fact, Fiora was the only Spanish manufacturer of shower trays present in the bathroom pavilion. Always very much in demand from premium brands. 140 square metres of Fiora at its best. 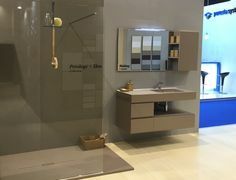 A stand that surprised and charmed everybody with its design and also with the way in which the exhibited products were presented and displayed. 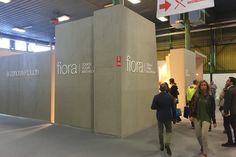 Fiora’s new products for 2018 were presented at this edition: a new collection of shower trays, Trace, a new collection of radiators, Celsius, and our new Oak texture for the Making collection. 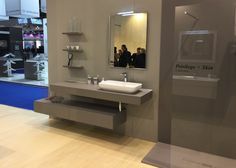 In addition, a prototype of the future furniture collection “Bloc” was presented, which the brand is currently working on. 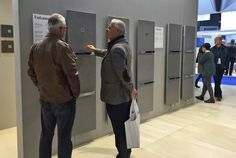 Attendance levels at this edition of the Salone del Mobile were overwhelming with visits being recorded non-stop during each day of the trade show. Visits from all over the world. Customers, architects, interior designers and top-level influencers. As well as continuous visits from journalists and other media from the sector. 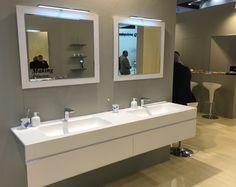 In short, a rewarding experience that has allowed Fiora to strengthen its position in the Italian market as well as in other international markets.